Available Wed and Thurs. No other discounts allowed. You must mention this special at time of ordering to receive discount. Special for take out orders only. Submit your resume in person at our Thornton Road location. 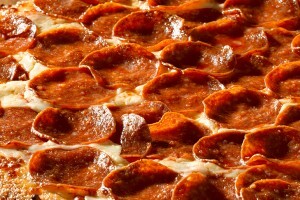 Dante’s Pizza provides the finest pizzas made. Each pizza is individually hand made to order. Therefore it takes time to prepare all our foods, so, relax, enjoy and come back soon. Dante’s banquet room seats up to 36 people comfortably. Our entire menu, plus more, is available in large portions for your party or event, either here or elsewhere. Our goal is to provide an enjoyable atmosphere for all to dine in. Therefore, management reserves the right to limit alcohol consumption or simply refuse service to discourteous individuals. Copyright © 2014 Dante's California Style Pizza & Cafe. All rights reserved.